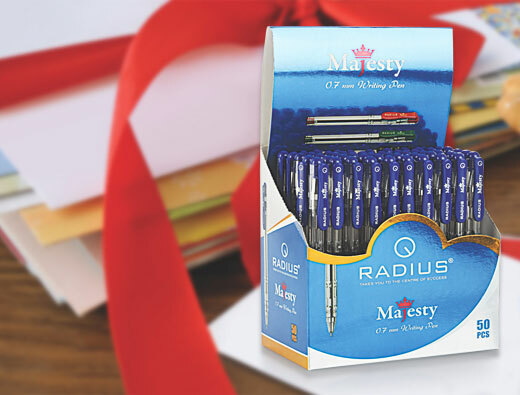 RADIUS by SSB Metal Works offers a full range of fine quality Writing Instruments including Ball Point Pens, Gel Pens, Retractable Pens, Mechanical Pencils, Refills, Gift Sets and Mathematical Instruments. SSB Metal works is a manufacturer and exporters of writing instrument. Radius has something to share with you..!! 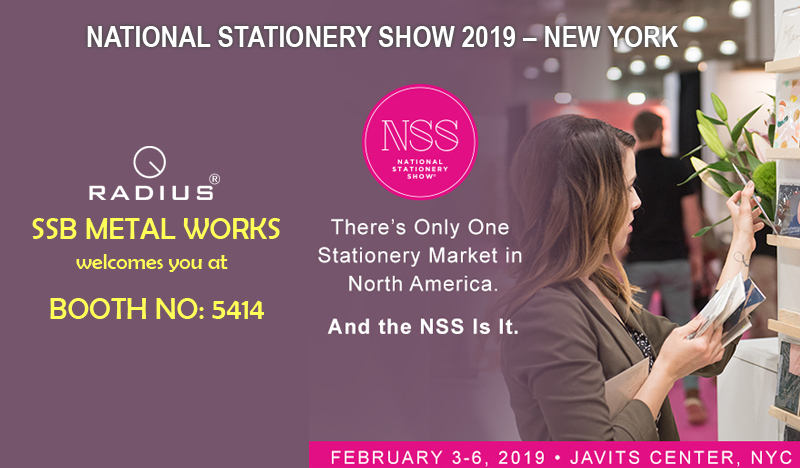 We are pleased to invite you to our upcoming event and wants you to be the first to see our new product range. Would you like to receive our product catalog? 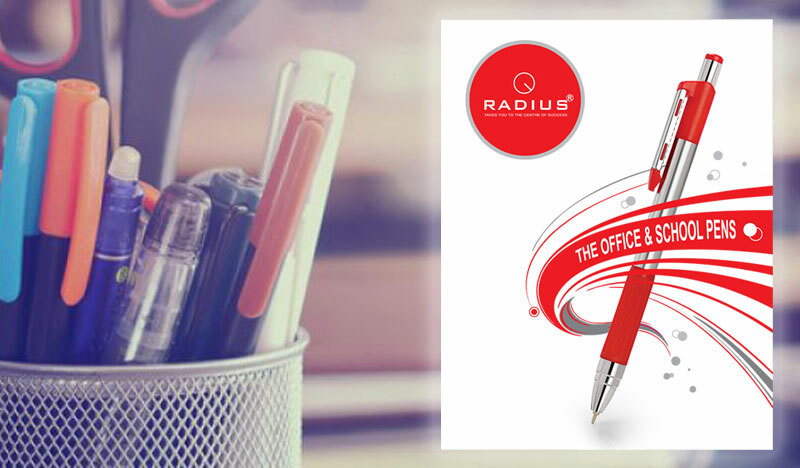 Explore our The Office & School Pens Catalog and send your orders. 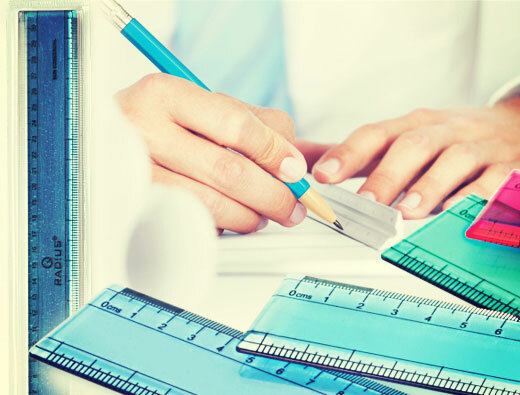 Our products portfolio comprises ball point pens, gel pens, retractable pens, mathematical instruments and other stationery products. The new catalog is now available, browse through it online or order your copy. 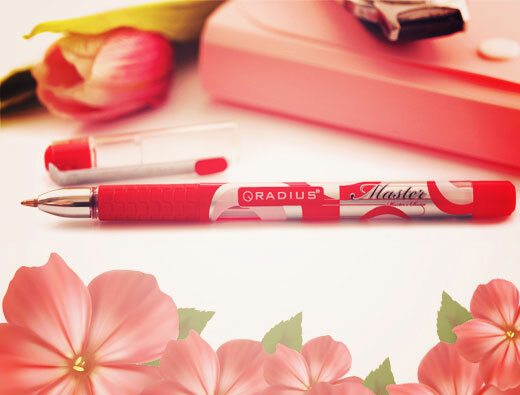 Radius manufacturers and exports a wide range of writing instruments offering the best quality. You'll find everything you need for great writing. 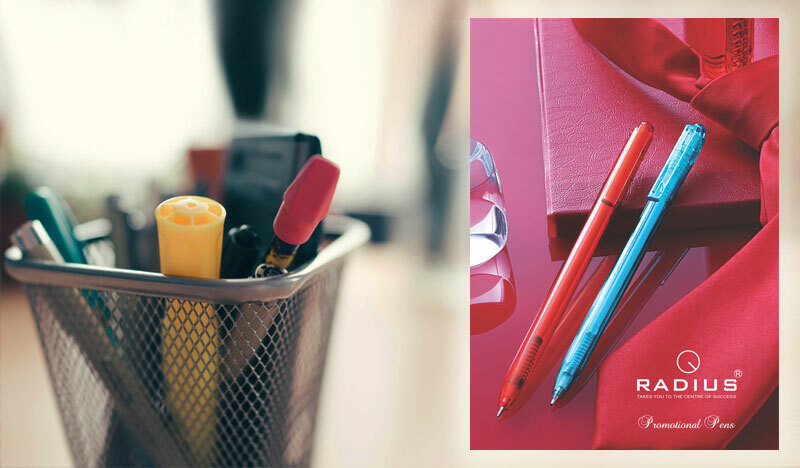 The Pen Catalog have the product range you can customised for all your business advertsing and sales promotion purposes. 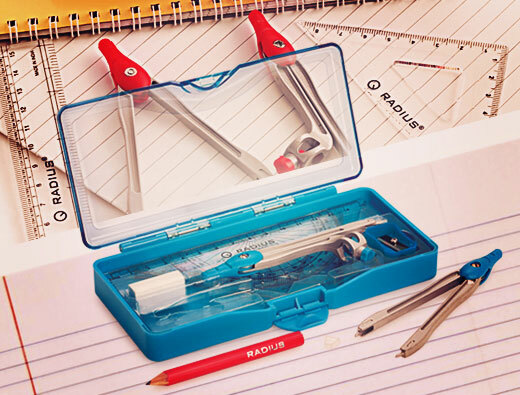 We are happy to offer you the extensive range of writing instruments by Radius. Our Products are now just a click away.